Recollections of a life peopled with musicians and full of music dwell within me. Some of them have a specific shape, but most are disembodied, lacking any visual representation. 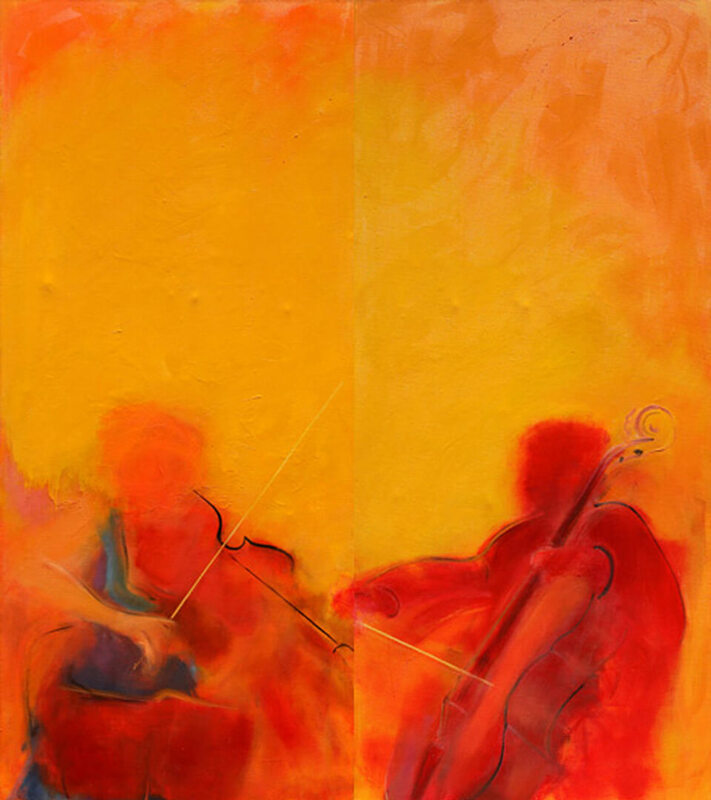 The music I choose aligns itself in tune with my being and I start to paint. The painting produces itself, a little owed to reflection, and most of it without thinking, unconsciously, magically.